How to use all of those Easter eggs? Make Eggs Mimosa. You won the Easter egg hunt. Your refrigerator is full of brightly colored hard-boiled eggs. Now what do you do with them? You could make egg salad. But for a more festive treatment try this colorful egg recipe from France. The French are one of the largest consumers of eggs in the world (which is interesting for a country that typically does not eat eggs for breakfast), an average of 216 eggs per person, per year, compared to 200 eggs per person in the EU. (Japan consumes more eggs than anywhere else in the world. On average, a Japanese individual eats 320 eggs annually. The demand for eggs in Japan is so high that the poultry population is almost equal to the human population of 120 million residents. Americans reached the height of their egg consumption at the conclusion of World War II, averaging 404, or more than one a day, in 1945. Now they consume an average of 279 eggs pp/year. 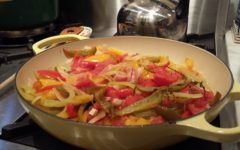 The French have many egg-based dishes: omelets, quiches, custards and mousses, but there are even more: a search on CuisineActuelle.fr turned up more than 10,000 egg recipes. The humble hard-cooked egg, though, is transformed into the simple and versatile Oeufs Mimosa, or Eggs Mimosa, related to the American picnic standard, deviled eggs. Same concept, but when they are made without mustard they retain a bright yellow appearance. As you would expect from France, the presentation is at least as important as the recipe itself. 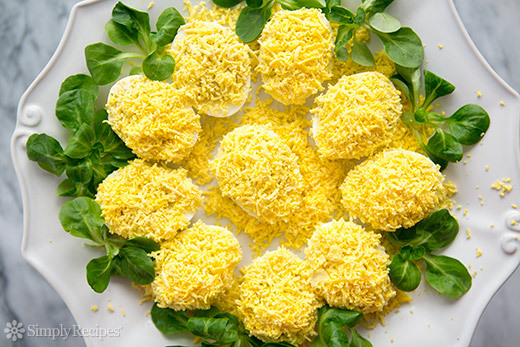 Eggs Mimosa resemble and are named after the bright yellow Mimosa flowers that bloom in the late winter/early spring in the South of France. 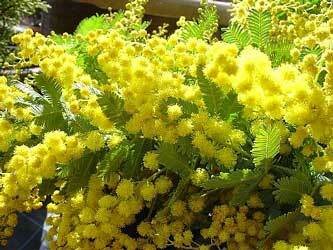 The sight of Mimosa blossoms is cause for celebration after the cold and gray of winter. There is even a Mimosa route—La Route du Mimosa—in case you can’t get enough in one place. It’s an 80-mile drive and includes eight villages from Bormes-les-Mimosas to Grasse. 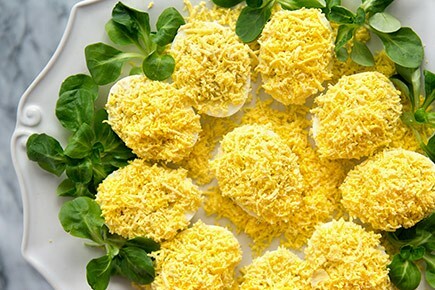 Eggs Mimosa are easy to prepare, but depend on quality ingredients: fresh eggs–preferably with yellow, not orange, yolks–perfectly boiled, and top-quality mayonnaise, preferably homemade. Try this mayonnaise-in-a-jar method to make your own. Epicurious.com recommends Blue Plate Real Mayonnaise, available at Target online, or Hellman’s Real Mayonnaise, available at grocery stores everywhere. Place the eggs in a pot in a single layer. Cover with cold water. Bring the water to a boil then remove the pan from the heat and cover it tightly with a lid. After 17 to 20 minutes (depending on the size of your eggs) remove the lid and drain the hot water. Immerse them in cold water for a few moments then peel them. Cut into two lengthwise. Gently remove the yolks and put them in a mixing bowl. With a fork, lightly crumble the yolks until they look rice. Or use a food mill or a grater. They should look like those in the photo below. 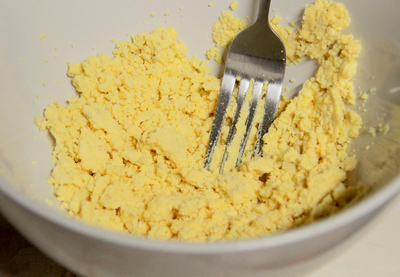 Remove about half of the yellow and reserve in another bowl. Combine the remaining half with the mayonnaise, chopped chives, salt and pepper. Stuff the whites with this mixture and crumble the remaining yellow on top so it looks like a flowering Mimosa bush. Arrange on a platter over arugula or Boston bibb lettuce. The yolk can also be mixed with minced tuna, crab, shrimp, ham, sardines, avocado, or beets. A version of this article first appeared in the blog NoNoJulia. See more articles for fabulous women on the Blue Hare home page. 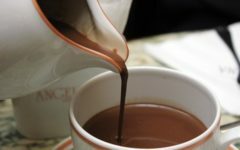 Where in the world is the best hot chocolate?